Creating your first website can be very daunting. You have no idea how to start or where to start. In this guide, I will help you with the process of starting your own website with WordPress. This page contains affiliate links. We may receive a small commision if you purchase through one of the links. What is a domain? A domain is your blog address or your website address. It’s like your home address in real life. When you want to start a website, you have to think of your domain name first. The name is important because it reflects who you are and also your website. Sometimes the perfect name that you want is already taken, so you have to brainstorm again and think of a new one. You have to check that you can get the domain name that you want before you decide to purchase it. Make sure the domain is not related to other people’s business name. What is a web hosting? Web hosting is a service to host all your files for your blog. There’re a lot of companies out there to host your website. We recommend Dreamhost to purchase your domain and hosting. Their service is excellent! They will help you with your problem immediately. I’ve been using their service since I started my business. 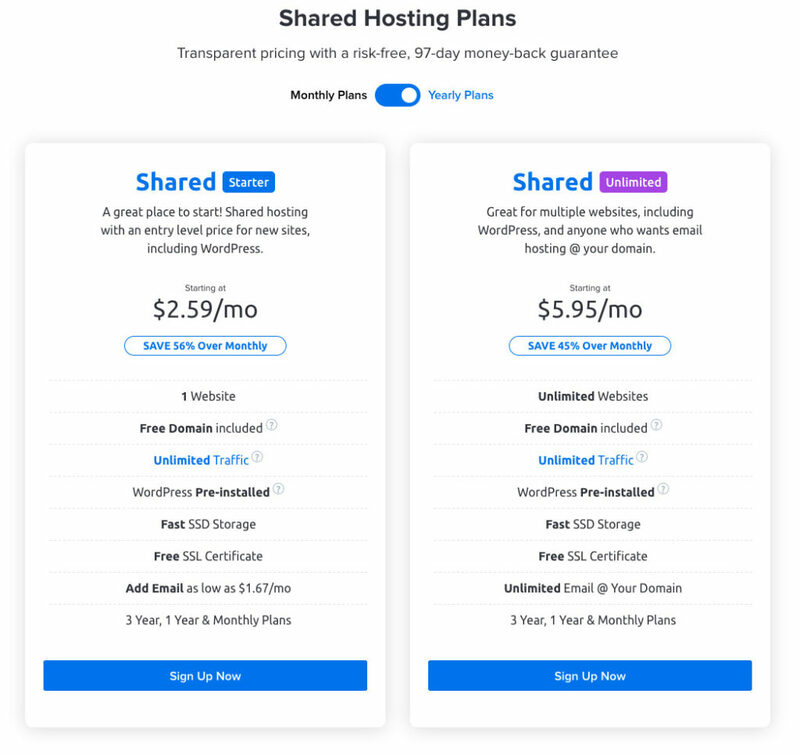 Go to Dreamhost and pick a plan that suitable for your need (You can upgrade your service later if you need to upgrade). Click “Sign Up Now” to purchase. If you don’t have a domain yet, choose “Register a new domain“, don’t forget to change how do you want to pay the service, monthly, yearly, or 3 year. I usually pay the service (domain + hosting) yearly. You will be redirected to a new tab, and choose the domain name that you want. After you successfully add your domain name, fill everything in the next tab and pay for the service. Select “Pre-Install WordPress – Free“. Dreamhost will help you to install WordPress files. Unselect the other options if you don’t want them. Submit your order. Install a theme & Launch! Now that you have self-hosted WordPress, you can use any themes that you want. After you purchase and finish the payment, you can download the theme from your account and download the file. You will receive a zip file which you need to unzip first before uploading it to your WordPress. After you unzip it, you will get the themes zip files and tutorial pdf file. Open the tutorial pdf file to continue the installation. Go to Appearance > Themes > Add New > Upload theme and then Activate it. If you need help with installing, go to our support page or contact us.